This fee applies to all maintenance projects worth more than £500, regardless of which service plan you choose. An annual property expenditure report for your UK self-assessment tax return. Tradesmen repairs Labour and parts billed by, for example, a plumber, electrician or handyman. Inventory creation To ensure impartiality, we use an independent specialist to compile a full report with photos of your property’s condition and contents. This is a one-off cost (£100 for a two-bedroom, one-bathroom furnished flat) at the start of your first tenancy, as the inventory is re-used for future lettings. Tenant check-in The same inventory specialist walks tenants through the property’s report and gets them to sign agreement there and then (£80 for a two-bedroom, one-bathroom furnished flat). Professional cleaning Only needed once as tenants have to return the property cleaned to this standard (about £175 for a two-bedroom flat excluding carpets; £240 with carpets included). What does tenant referencing check? Right to Rent checks: by law, you have to check that tenants have a right to live in Britain before letting a home to them, or face a penalty of up to £3,000 per adult illegal immigrant — even if they are not named in the lease. Credit checks to ensure there are no outstanding county court judgements. We advise you on the findings, but you keep full control — the decision to let stays with you. What tenancy contract do you use? Swift’s contract is an assured shorthold tenancy (AST) has been refined over years of experience and scrutinised by legal experts. Because we are independent, we can amend the agreement to include any additional clauses relevant to your property. We know one size doesn’t fit all. You are legally obliged to obtain an energy performance certificate (EPC) before marketing, to give prospective tenants an idea of how energy efficient the property is. Non-compliance can lead to a fine of up to £5,000. From April 2018, laws will ban granting new leases to let out homes with the lowest two energy efficiency bands, F and G, unless you have installed the maximum package of measures under the government’s Green Deal. Swift ensures that you have an EPC in place as part of all of our service packages. What safety obligations do I have? All gas equipment has to be fitted by an engineer on the Gas Safe Register and tested annually. You must give your tenant a copy of the gas-check certificate on entry or within 28 days of the test. Not doing so can land you with an unlimited fine, a prison sentence or — if someone dies — manslaughter charges. Smoke alarms and carbon monoxide alarms also have to be in place and tested at the start of every tenancy. You must ensure that sockets, light fittings and electrical appliances are safe. All upholstered furniture should have fire safety labels. Swift ensures that your home adheres to all these safety requirements as part of our Bronze and Gold services. Which paperwork obligations do I have? 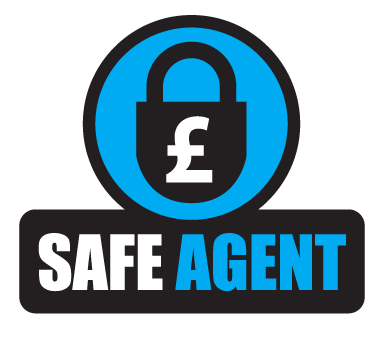 Swift takes care of this paperwork alongside the tenancy agreement and deposit protection as part of our Silver and Gold services. By law, you have to register a tenant’s deposit with one of three state-backed protection schemes within 30 days of receiving it or face heavy fines. As part of our Silver and Gold service, Swift submits all deposits to the Deposit Protection Service. We also serve tenants with all the legally required paperwork to tell them that this has been done. At the end of the tenancy, owner and tenant must agree any deductions promptly; the balance must reach the tenant within 10 days after reaching agreement. Any amount in dispute stays in protection until you agree. Swift also handles any negotiations on deductions and releases owed funds to the relevant parties before the deadline. An inventory is a full written report including photos detailing the condition of a property and its contents — down to the last teaspoon. Created at the start of your first tenancy, it is a one-off that is re-used and updated for all future tenancies. It’s industry best practice to have one in place and essential when it comes to negotiating any deposit deductions at the tenancy’s end. At Swift we use a specialist firm, registered with the Association of Professional Inventory Providers, to guarantee an independent, impartial service. Arranging an inventory is part of both our Silver and Gold packages. Because this service is provided by a third party, we ask you to cover their cost (£100 for a two-bedroom, one-bathroom furnished flat). What is the check-in process? Done correctly, the check-in leaves no doubt that your tenants agreed with what your inventory stated when they moved in — crucial for any disputes over deposit deductions once the tenancy ends. To guarantee an impartial service, an independent specialist — registered with the Association of Professional Inventory Providers — walks your tenants through the inventory and asks them to sign a check-in report there and then. Your report lists keys handed over, opening meter readings and the property’s condition and cleanliness on the day. Swift arranges the check-in as part of our Silver and Gold services. Because it is done by a third party, we ask you to cover their cost (£80 for a two-bedroom, one-bathroom furnished flat). You pay this fee at the check-in, while your tenant pays at the check-out. What is the check-out process? When your tenants leave, the check-out inspection and report compares the property to your check-in inventory so you can make fair deposit deductions. To ensure impartiality, an independent specialist — registered with the Association of Professional Inventory Providers — does this inspection and advises on possible deductions. Swift arranges the check-out as part of our Silver and Gold services. We ask the tenants to pay the clerk’s fee (£125 including Vat) seperately for the check-out report, since you as a landlord pay it at the check-in. There are therefore no check-out charges to you. What tax do I need to pay? When you start letting out a property, you must register for self-assessment tax with HMRC and file a return every year. As part of this return, you must fill out the property pages. By law, you must pay income tax on your rental income minus allowable expenses. If you sell your rental property, you will likely also need to pay capital gains tax. Even if you live abroad for six months or more while renting out a UK home, you must still pay income tax to HMRC. You are then classed as a “non-resident landlord”. This requires your lettings agent or tenant to deduct tax on your behalf and pay it to HMRC. Because this could easily cause you to pay the wrong amount of tax, Swift asks all clients who live abroad to apply for HMRC’s approval to pay tax through self-assessment. If you sell your rental property while living abroad, you also have to pay capital gains tax on any gains after April 2015. You must tell HMRC of the sale within 30 days of its completion, even if you made a loss. For £40, Swift will give you an annual report of all your rental income and expenses so you can easily complete your self-assessment tax return. We meet you at your property to listen to understand your requirements and answer any questions. We clarify what services we offer and you choose a service tier. Based on market research and your specific property’s size, style and location, we present you with an accurate rental valuation. We prepare all we need to market your home at its best: professional photographs, a floor plan and an Energy Performance Certificate (required by law). Your home is advertised on Rightmove and Zoopla, Britain’s two biggest property websites. Swift arranges and hosts all your viewings, keeping you up to date on the progress. Prospective tenants submit offers, we negotiate the best possible terms and you agree the final deal. We check the would-be tenant’s credit record, Right to Rent, landlord and employer references. All parties review the tenancy agreement and sign it securely online. We handle all other paperwork. An independent clerk compiles an inventory of your property and the tenants signs agreement at check-in. Discover how you can prepare your property to maximise the rent. Meet our expert at any home in southwest London for a free rental valuation and no-obligation advice.